Recently, Chef di Cucina Matthew Cargo of Prato announced that he will be leaving for the new Otium in Los Angeles, California as Chef De Partie. 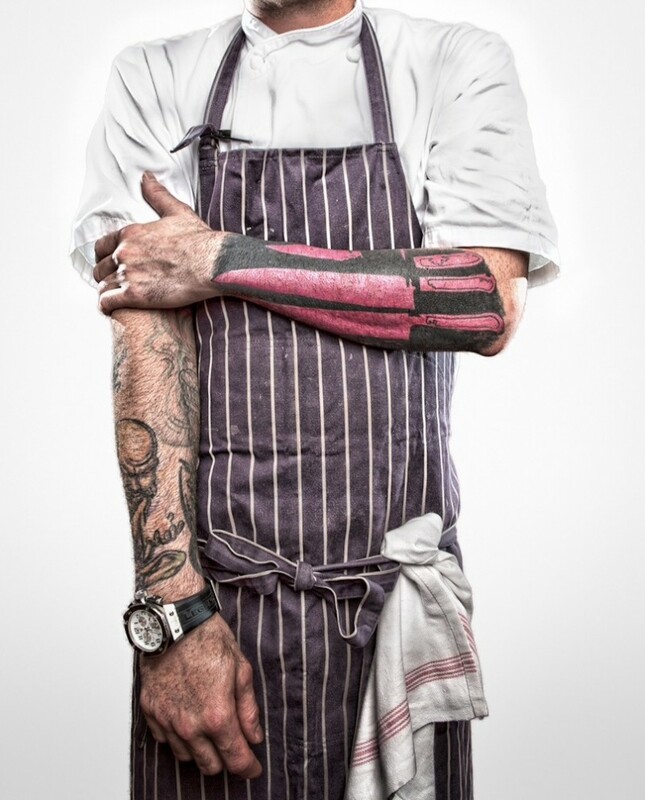 Otium is the first solo project founded by Chef Timothy Hollingsworth who represented the US at Bocuse D’Or in 2008 and then rose to Chef de Cuisine at The French Laundry, a three Michelin star restaurant in Napa Valley. The post below is written by Prato’s former front of house manager Emily Brainard. We wish him all the best in LA! Make Orlando proud, Chef! If you’ve ever been to Prato you know Matthew Austin Cargo, whether you’ve met him or not. You know him in the food you’ve adventurously indulged in. He’s in the rustic décor at Prato, whose walls envelope you and take you to a faraway city. He’s in the atmosphere and energy that make you feel alive and full of passion. You may never again know someone as intimately as you know Cargo, for he’s opened himself completely, become as vulnerable as the industry will allow, and left his entire being on the table. Cargo’s journey to Prato began at age 16. He worked at various restaurants absorbing habits, techniques and knowledge that he liked and working hard to not pick up the bad habits he didn’t. It wasn’t until 2008 that he found his home at Luma on Park and his mentor in Brandon McGlamery. When that day came, he proved himself more than adequate in helping with prep and hot appetizers throughout the morning, afternoon and evening, finishing service with the other chefs. He was hired that night. And after trying the foie parfait, he realized what a monumental experience this was going to be in his life. Cargo was surrounded by other young men we’ve come to know and respect. Brian Cernell and Derek Perez were amongst those that were fresh-faced at the time. They all grew up together and encouraged each other in various ways. Luma was Cargo’s first real community experience in a kitchen. Eager for late night chats over the next day’s menu after a draining service, the chefs would fill back up by bouncing creative ideas off one another. Cargo didn’t necessarily dream of the titles so much as the vote of confidence that comes with them. He wanted his superiors to trust him. “I never wanted them to worry about me or my station. I wanted them to feel that I was always in control.” He accumulated knowledge in and out of the kitchen and spent all of his time off reading or traveling. Cargo would travel with other chefs and on his own to practice technique and expand his palate and imagination and hone his skills. He would learn from the best, bring it home and put it into practice, bringing him closer and closer to coming into his own as a chef. The Prato concept blossomed on one of the aforementioned food trips. Cargo went to San Francisco to stage where he learned to use a pasta extruder and made pasta all day. He went to Atlanta and South Carolina to learn more about curing meats. California and New York to study pizza. On one of those ventures, the Widowmaker was born. Arriving in Italy with an interpreter, driver, and itinerary, Cargo didn’t know what to expect. Recounting their tour, Prato’s menu comes to life. Thick ragus and porcini mushrooms greeted them in Bolognia. In Modena, our own gnocchi fritto was discovered. Positano brought us the seafood we adore. Parma brought the nose and the cheese to the table. They watched our ovens come into being in Napoli. Upon arriving home, he was tasked with finding his team and fine tuning the menu, (as much of it was written on their trip to Italy.) He called his friends, the ones he admired and respected and wanted to grow with: Brandi Delhagen, Timmy Lovero and Bryant Thorpe, the core of what we know as Prato today. Cargo and Delhagen worked tirelessly at Luma day in and day out for about 6 months. They were preparing for the opening of a restaurant they had never cooked in. They cured 150+ pounds of meat, made endless amounts of fresh pasta and they spent hours each day trying to get organized for what they didn’t know was coming. Weeks were dedicated to building relationships with local farmers and visits in and out of the restaurant to ensure they were finding the freshest product possible. Cargo learned from McGlamery that knowledge of and dedication to sustainability was a commitment he had to stand by if Prato was going to set a new standard in Orlando. After Prato opened and the chefs were able to use their new kitchen, the problems that faced them were all too palpable. Staying organized, prepping enough for the masses, and remaining true to the product they believed in were highest on that list. Cargo worked hard to gain control and once he brought the team together, they were nearly unstoppable in what they could accomplish. One of his favorites along the way was the garlic crostini with a foie gras torchon, masumoto peaches, balsamico and crescenza. The challenges of seasonality, originality and respecting the tradition while making it their own were foreboding, but only served to push this group further as none would back down. Over Prato’s lifespan this team has produced endless dishes we’ve come to know and love. One watermelon salad comes off the menu as the season ends and we wait for the next. We’re devastated and convinced we’ll never be as satisfied, but as the season approaches again, we’re overwhelmed with the innovation and flavors of the new. Most of us have tried things at Prato we had never even seen on a menu. Collar, crespelle, triangoli: things that aren’t teeming out of every restaurant in Orlando are brought to life here. Some of Cargo’s favorite ingredients to work with, Cipollini onions, chilies, porcini mushrooms, kaffir lime, we’ve seen in ways we never imagined. Cargo fought for Prato for a long time, constantly carrying around the weight and pressure to make sure the restaurant was true to what he and McGlamery thought it should be. As a leader, he worked hard and was humbled trying to earn the respect of his team. He was never as satisfied and overjoyed as when he realized that his team believed in him and that he had become a mentor to many. Now that it is time for Cargo to pave a new path for himself, he is at peace with his decision. Cargo leaves Prato with his best friend, Lindsay Maser, at his side. She has ignited the courage and confidence in him to expand beyond his comfort zone and challenge himself. He is, of course, leaving on a bittersweet note. His mentor, Brandon McGlamery, his brother, Derek Perez, his redheaded step-brother and Willy Wonka of Winter Park, Brian Cernell will be sorely missed. He is so grateful to his team for believing in him, supporting him and helping him grow into the chef he is today. However, he finds comfort in knowing that they will continue to pave the way for knowledge, dedication, integrity, hard work and incredible food in Orlando. 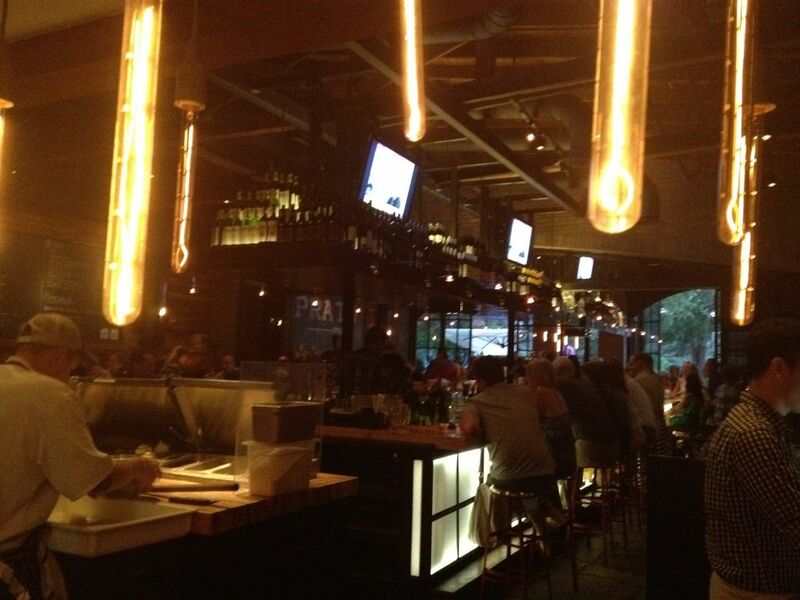 Cargo is confident that Prato will remain a trendsetting restaurant in Orlando. 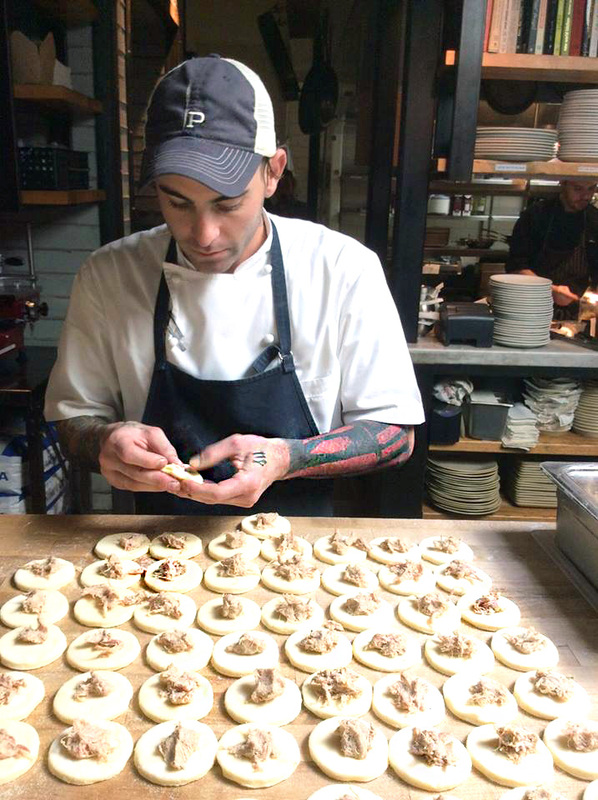 His core team and those he’s most proud of, Delhagen, Lovero, and Thorpe, will continue running the show, ensuring that the evolution of the food scene here will not stop. Prato will always be home to Cargo. Otium – A New Chapter from Otium on Vimeo.